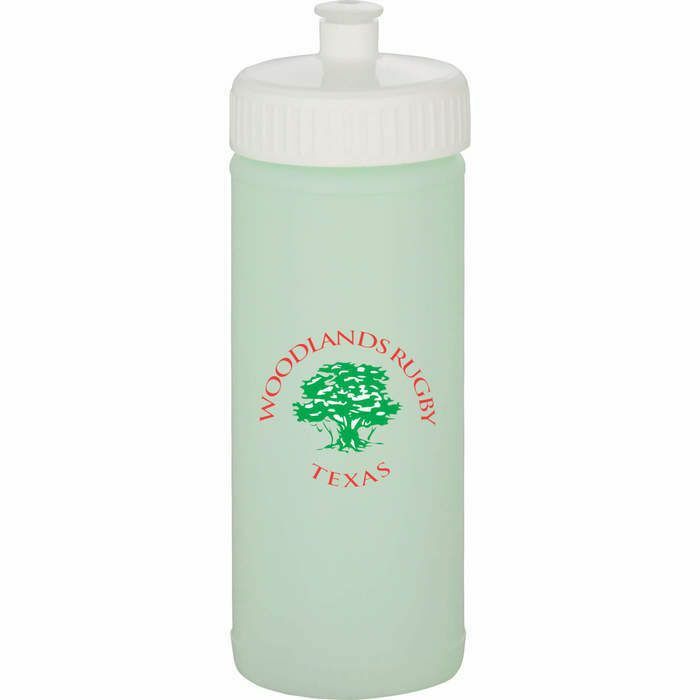 16-ounce, Glow-In-The-Dark sports bottle includes your choice of lid: push-pull, super sipper or straw with tethered-tip. Must specify lid type & color. Bottles ship assembled. Made in USA. For best glow effect, charge under direct light. Hand wash only. Follow any included care guidelines. High-Density Polyethylene (HDPE).